Last week I posted about the 4th of July design we put together for the Parade, but this week we really got to show it off! We raffled off a nice, big poster of the design at this month’s Aptos Chamber Breakfast Mixer. What a great way to reveal the design to the movers and shakers of Aptos! 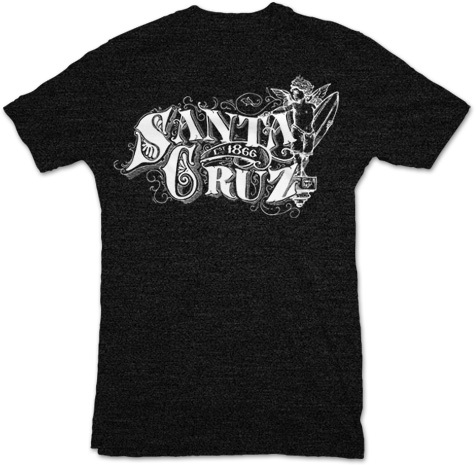 We’ve got some new shirts to print and we’re going to have our Victorian SC shirts in Sun Shops! Tons and tons more work with Santa Cruz Waves new project, which is… *drumroll*… a beautiful quarterly magazine! We’re handling final layout design, ads, and anything else that rolls our way! Waves has been making a lot of really exciting moves, as of late, and we could not be more thrilled to be along for the ride! 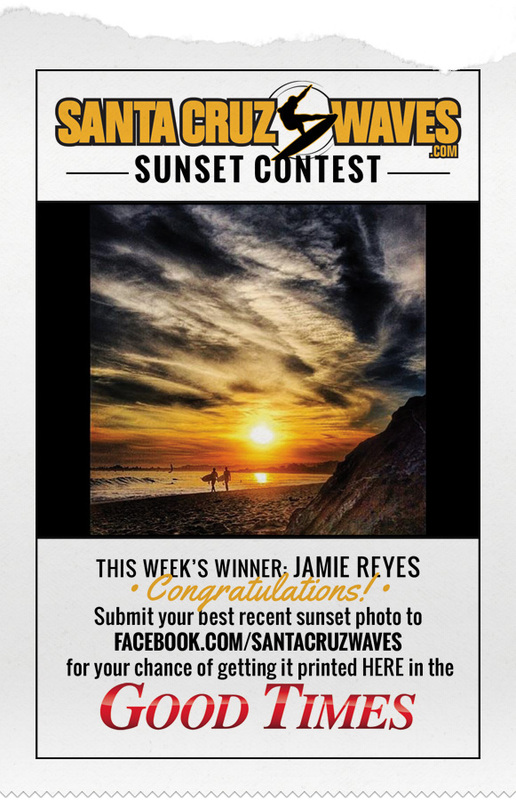 Jamie Reyes is this week’s winner SCWaves’ Sunset Contest.